We’ve all had those moments where nothing would feel better than just picking up the nearest object and smashing it right into a wall. Maybe it’s after an argument, or a rough day at work, or maybe you’re just stressed and tired of being civil. Sometimes, you just need to take off your suit jacket, loosen your tie, and break some sh*t.
At least that’s the concept behind “rage rooms,” where you can go and release your inner demons to your heart’s content — for a small fee, that is. But who wouldn’t pay to smash a monitor after you’ve been staring at one for eight or ten hours a day for the last five years? These concrete rooms come equipped with delightful items that you can send straight to hell, obliterating them to nothing more than tiny little pieces. People bring their own weapon of choice and can end up going by themselves or even in groups just to have fun. Some even go on dates to these rooms. The reasons vary depending on the person, but it’s usually because they want to have fun or de-stress from work and family issues. One of the latest drives sending people to smash things into oblivion is no surprise, however, given the tumultuous year we’ve had: politics. 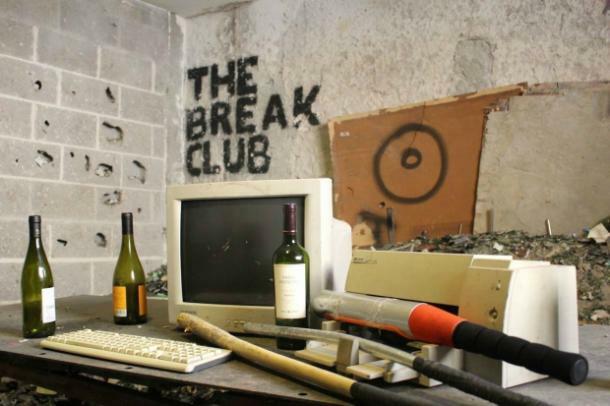 Whatever the thing that drives people into a rage room, it doesn’t change what they’ve arrived to do. 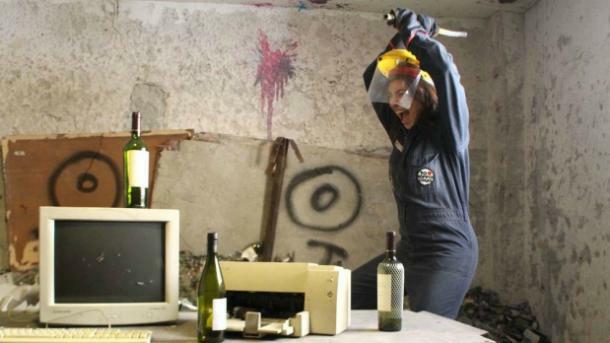 Initially, the concept of a rage room started in Japan when the country went into a recession, and it’s spread from there. Rage rooms have popped up all over the world, and there are even notable ones here in the US, like The Smash Shack in Jacksonville, North Carolina, as well as the Break Club in Buenos Aires. Surprisingly, according to the owner of The Smash Shack, Russell Chastain, most of their clientele are women. He believes that this is because men feel comfortable taking their stress out in aggressive activities like sports or martial arts, but “girlfriends and spouses don’t have an outlet like that.” So women are flocking to rage rooms and the concept is definitely taking off. Whatever the reason for it, smashing things when you’re angry or stressed can be pretty cathartic. Take a bat, a crowbar, a lead pipe — pick up whatever you want and break it into bits. Just make sure you’re actually in the rage room before you start.